Venezuela is a country that is fast becoming one of the most censored online. With recent upheavals and the government trying to suppress information the only surefire way to access a free and open internet is to use a VPN service in the country. But which is the Best VPN for Venezuela? We’ve been testing and comparing a range of VPN services to see which is the best for use in the country both if you’re a resident or if you’re just travelling there for a period of time. 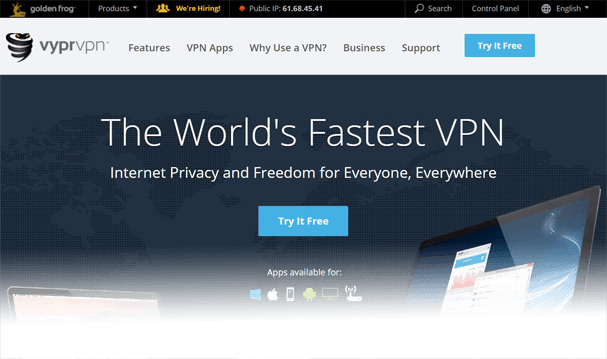 Find out below what we found and ultimately which is the Best VPN for Venezuela. IPVanish is one of the fastest VPN services we’ve tested and with their range of features they certainly make our Best VPN for Venezuela. VPN servers nearby include Brazil, Costa Rica, Mexico and Miami, Florida. To avoid online censorship in Venezuela these four locations will be perfect as they won’t be bound by the restrictions Venezuela internet is and they’re near enough for you to get decent speeds. Software is available for Windows and Mac computers and apps for Android and Apple devices. No matter what type of device you use in Venezuela you will be protected and can avoid censorship at the same time. VyprVPN makes a good choice for use in Venezuela in their own right. Server locations nearby include Brazil, Colombia, Panama, Costa Rica, El Salvador, Mexico and Miami, USA. With so much local choice there is plenty of scope to connect to other locations to avoid Venezuelan internet censorship. The software and apps from VyprVPN are some of the easiest we’ve used so if you’re new to VPN use then you’ll have no problem connecting. One of our favourite features of the service is the completely free 3-day trial that will let you test the service to see if it’s suitable for your needs. 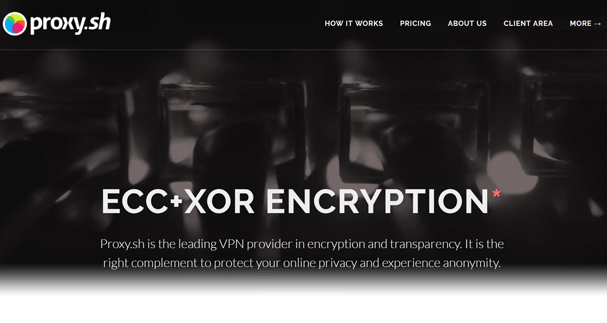 Take a look at our 2017 VyprVPN Review. 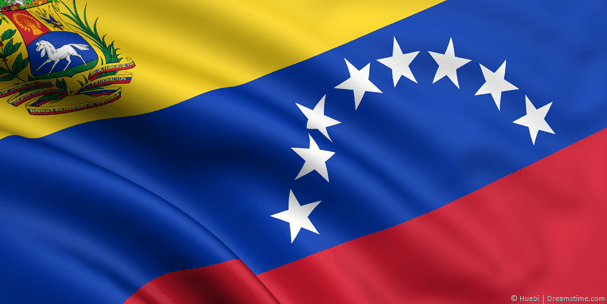 ExpressVPN is another provider that is great for use in Venezuela. They actually have the most locations nearby including VPN servers in Brazil, Peru, Ecuador, Chile, Panama, Costa Rica, Guatemala, Mexico, Miami and the Bahamas. With so much choice you have plenty of options and you’re unlikely to find a provider that has more choices within good distance of Venezuela. One of the features we liked most about ExpressVPN is their 30-day money back guarantee that they do honour. Should you be unhappy with the service you can get a full refund within a month. The service might cost a little more than the rest but if you need more access locations then they’ll certainly be worth it. Check out our ExpressVPN 2017 review. Overplay could be good for use in Venezuela if none of the above three providers has taken your fancy. Nearby servers are available in Brazil, Costa Rica, Mexico, Miami and if you want to go south, Argentina. Although Overplay doesn’t have quite as many server locations as some of the other providers they do have some of the fastest speeds. They also have a free SmartDNS service included so if you want to watch entertainment from the US or other locations you can do so at no extra cost. You can of course bypass internet censorship in Venezuela and protect your internet connection as standard like with the other providers. Proxy.sh rounds up our selection of Best VPN for Venezuela options. Servers nearby include Belize, Brazil, Chile, Costa Rica, Mexico, Panama and Florida. Proxy.sh is easy to use but aimed more at those interested in high end encryption. There are plenty of security features and if you’re a bit of a techie you’ll love this service. Although the service is easy to use if you’re a newcomer you might be put off by some of the jargon and options so it might be best to stick to one of the more new-user friendly options listed above. Proxy.sh will help you avoid Venezuelan censorship and help you stay private online and if you’re interested in encryption options you’ll love them. Finding a VPN service for use in Venezuela isn’t that easy. Just finding one that has servers in nearby locations is hard enough without even considering anything else. 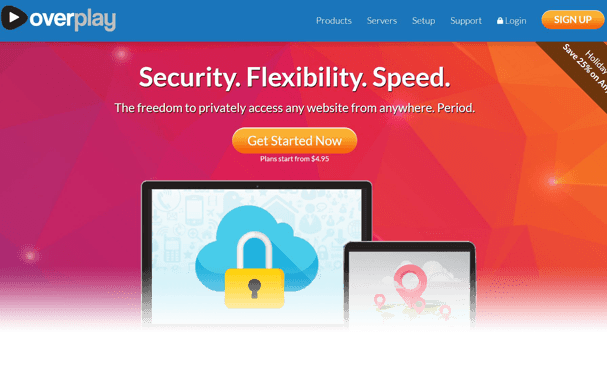 The above five providers are our top choices when it comes to using a VPN service in Venezuela and you can’t go wrong by choosing any of the five. Our recommended provider is IPVanish, they’re one of the fastest we tested, the easiest to use and they have a good server selection within the region. So if you want to bypass internet restrictions in Venezuela all you need to do is select one of the five above and sign up. If you’re still wondering how to choose a VPN provider for Venezuela we round up a few of the necessary considerations below. Without a doubt having VPN servers in nearby locations is the most critical feature to consider when choosing a VPN service for use in Venezuela. Nearby servers will allow you to bypass Venezuela internet restrictions and also give you the best possible speeds. If countries are located too far away you’ll get poor speeds and a bad browsing experience. If you’re like most people, you don’t really care how the VPN works as long as it works. Having custom software and apps is a must. They allow you to select a nearby location and connect without any hassle or fuss. You don’t need to be a tech expert, you don’t need a degree in computer science and best of all the providers who do offer software and apps make bypassing internet restrictions easy and effortless. The Venezuela economy is erratic and spending as little as possible when choosing a VPN service is essential. Thankfully the five providers above are some of the best priced in the industry and none are higher than average. Now you know what to look for, choose one of the providers above and enjoy restriction free internet.